In the biggest hundred housing associations, chief executive total pay (includes basic pay, bonus and car allowance) 5.5% to £182,780. Bonuses for chiefs of the biggest 100 housing associations rose 4.7%, from £16,737 last year, to £17,519 in 2014/15. This continues the trend of a growing gap between front line pay and top pay in the sector. CEO pay rises amount to about 18% over the last decade. 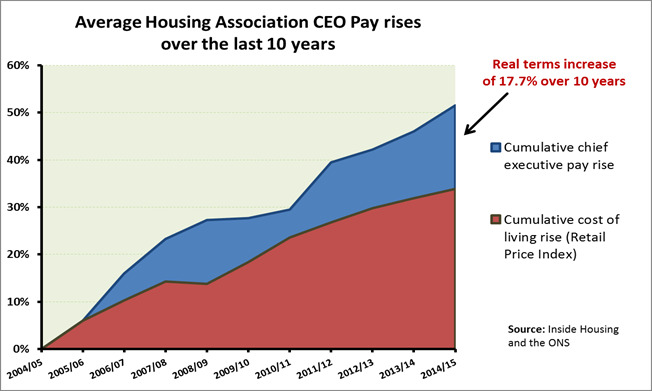 Over the last year there has been growing criticism of Chief Executive pay levels in housing, sometimes hypocritically used as part of the attack on social housing. 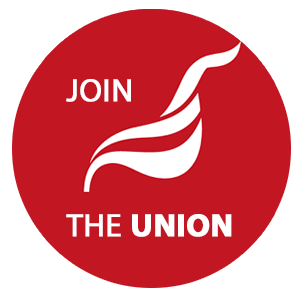 At the same time they have been criticised for low pay to front line workers. The highest paid executive is Places for Peoples David Cowans who gets a 11.4% increase to £481,507. The biggest pay increase goes to Bruce Moore at Housing & Care 21 who gets a 76.4%. Some examples from organisations that have hit the headlines recently: One Housing Groups Mick Sweeney gets a 6.8% increase bringing his pay to £228,520, Gentoo’s Peter Wallis (recently announced redundancies due to financial difficulties) £241,356. In the hundred and eighty biggest average pay is £157, 628. Male chief executive pay continues to grow at a faster rate than female chief executives. For all chief executives where Inside Housing has two years of figures, men’s pay grew 4.5%, while women’s pay grew 3.9%. We will produce further analysis on this survey. The full report is behind a pay wall here.